Our Snow Star sticker designs can be ordered as a pack of small stickers, or as several large stickers. You can also select a colour for the sticker, and the material it is printed on, including static-cling film for ease of removal. Design available in a selection of sizes, colours and materials, and as a pack. Border sticker for the top, bottom or sides of your window. 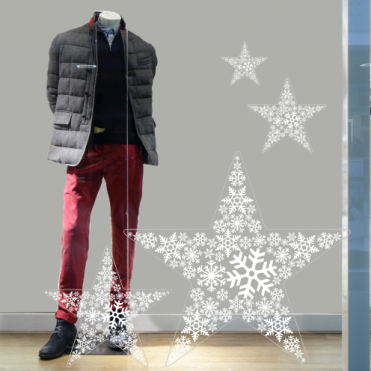 Ideal for festive retail displays and available in a variety of sizes. 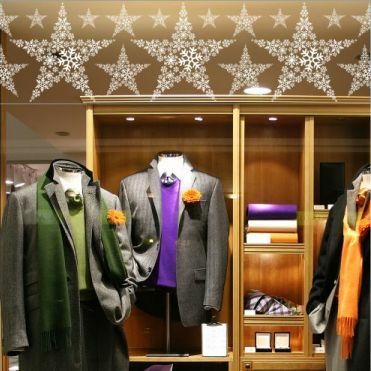 See our full range of star stickers and christmas shop window stickers.